Tensions have risen sharply on the Korean Peninsula, with North Korea and South Korea trading artillery fire across the border on Thursday. The hostilities follow weeks of accusations and counter-accusations since landmines maimed two South Korean soldiers along the Demilitarized Zone (DMZ) on August 4, for which Seoul blamed Pyongyang. Yesterday, North Korea reportedly fired a single 14.5mm anti-aircraft shell before firing several more shots from a 76.2mm gun. The South Korean Defense Ministry claimed the first shot landed on an uninhabited hill on the southern side of the border, 60 kilometers north of Seoul. The artillery exchange is the first since October 2014. It was sparked by the resumption on August 10 of South Korean propaganda broadcasts across the border, for the first time in 11 years. Pyongyang labeled the broadcasts a “declaration of war” and threatened to destroy the broadcast speakers. Shortly after the exchange of fire, the North demanded the propaganda cease within 48 hours or it would undertake further military action. The broadcasts were Seoul’s response to the August 4 incident that wounded two South Korean soldiers. Identified only by their surnames, Ha and Kim, the two were on what Seoul claimed was a routine patrol when three landmines detonated near a gate. Ha lost both his legs at the knees, while Kim lost his right foot at the ankle. While the South Korean government initially ruled out North Korean involvement, it changed its position on August 10 and, without providing concrete evidence, accused Pyongyang of planting the devices. Despite having cameras and thermal sensors monitoring the DMZ, South Korea claims it was unable to pick up any North Korean intrusion across the border to place the mines. Defense Ministry spokesman Kim Min Seok stated: “The detonation spot is surrounded by a dense forest in summer and located over a hill, so it is not easy for thermal observation devices to detect movement.” A video camera was nevertheless able to record the explosions. South Korea, along with the US-led United Nations Command (UNC), declared that its investigations discovered fragments from wooden box landmines, which North Korea typically uses. There are an estimated one million mines within the DMZ, planted there since the Korean War. In the past, landmines have been washed away in rainstorms and later discovered in civilian areas, causing casualties. The UNC, however, ruled out such a possibility. It was already known that North Korea was placing additional landmines in the DMZ, in an attempt to prevent defections across the border. In June, a young North Korean soldier managed to make his way across the zone and surrender to a South Korean guard post. It is possible that the mines, if placed by North Korean troops, were aimed at preventing additional crossings, rather than at disrupting South Korean patrols. It cannot be excluded that North Korea did plant the mines with the intention of stoking an incident on the DMZ. Pyongyang has a history of carrying out provocations, in order to direct its internal crises outward. These include three nuclear weapon tests and threats of a fourth, as well as rocket and missile tests, and the shelling of Yeonpyeong Island in 2010, which killed four South Koreans. 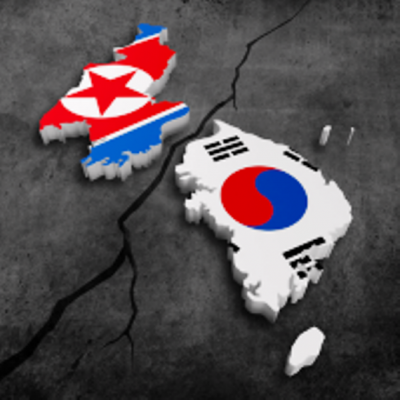 Unconfirmed reports emerged recently that suggest immense divisions in the North Korean regime. Seoul’s National Intelligence Service claims that some 70 senior officials have been executed since Kim Jong-un came to power in December 2011, including his uncle Jang Song-thaek, a figure close to Beijing, and Defense Minister Hyon Yong-chol. On August 11, South Korean government sources stated the North’s vice-premier, Choe Yong-gon, was executed in May after a disagreement with Kim. On Wednesday, the South alleged that Won Tong-yon, the North’s vice chief of the United Front Department of the ruling Workers Party, was purged and sentenced to manual labor. Primary responsibility for the flare-up of hostilities on the Korean Peninsula lies with the United States. The Obama administration has consciously sought to intensify military and economic pressure on North Korea over recent years, as part of its broader “pivot to Asia,” aimed, above all, against China. US forces are being concentrated and upgraded in the region to militarily encircle and threaten China, in an effort to compel Beijing to submit to Washington’s economic and geopolitical dictates. On Monday, the US and South Korea began their annual military exercises, dubbed “Ulchi-Freedom Guardian,” which are slated to run through to August 28 and involve some 50,000 South Korean and 30,000 US troops. North Korea threatened earlier this week to “take intense and appropriate counter-attack measures” against the exercises, which it denounced as a war threat. While the North is the ostensible target, such operations by Washington and one of its key Asian allies also enable their militaries to rehearse for a potential conflict with China.